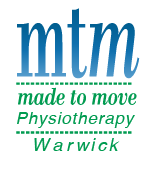 Situated in the brand new Stadium, MTM Physiotherapy Warwick is well placed to provide all of your Warwick Physiotherapy needs. After opening in February 2016 the team at MTM Physiotherapy Warwick have been providing services to those around the surrounding suburbs such as Greenwood, Darch, Carine, Stirling, Kingsley, Hamersley and Duncraig. Frequently we provide immediate first aid and acute injury management advice to the community who utilise the gym or court space at the Stadium. Your experience at MTM Physiotherapy Warwick will include a detailed assessment using a combination of the facilities at the stadium not just our treatment rooms. Your management may include dry needling, massage, mobilisation, exercise prescription and stretching. We have access to the state of the art Workout gym and will ensure that your rehabilitation will prepare you for return to sport or to your maximal function for your day to day lifestyle. Whether you are in pain, have a question about anything movement related or want some advice or an exercise program then don’t be afraid to give us a call and speak to one of our friendly Physiotherapists today!